An Agent of the New Order came under attack by terrorists in Elonaya after the shareholders of the New Order voted to liberate the system this week. Prior to the official transfer of power, Agent Tubrug1 arrived in Elonaya to serve as a herald of the Supreme Protector. The miners of Elonaya greeted Agent Tubrug1 with exactly the kind of disobedience and disrespect that you'd expect from a system yearning to be tamed. It's no wonder the shareholders of the New Order saw in Elonaya a system badly in need of discipline. Following the usual pattern, miners came up with the bright idea to try counter-bumping, a thing that doesn't work. 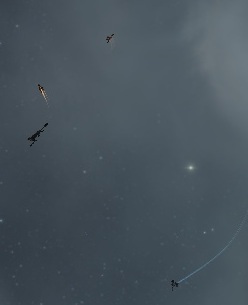 According to Tubrug's count, he had as many as six counter-bumpers swirling around him at once, including a raptor, a rifter, a cynabal, a vagabond, and two Caldari Navy Hookbills, which at this point I must conclude is the official ship of the resistance. 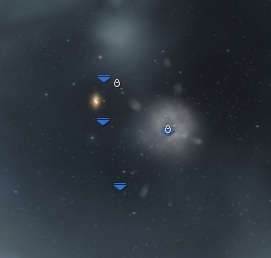 Seeing the futility of the counter-bump strategy, the rebels organized a suicide gank squad of five ships and launched a simultaneous attack. 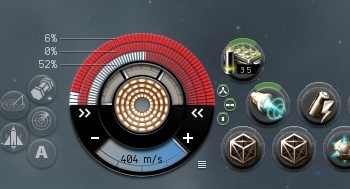 At least one of these was a properly-fitted tech II destroyer, but the crew also included unconventional gank ships like the aptly named but inaptly flown executioner. Concord reacted swiftly to protect the New Order's representative and lit up the rebel fleet like a fireworks display. The cowardly display of violence went unrewarded, as the New Order's reputation of invincibility was vindicated once again. 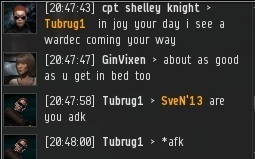 Tubrug's stabber survived the attack at 52% structure! Seeing no way to effect change, miners protested the impending transfer of power by arranging a protest. 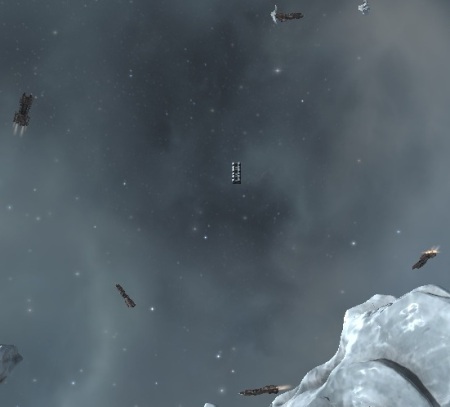 A group of mining ships began orbiting around a secure container with their mining lasers off. They could not defeat Agent Tubrug1, but they could give voice to their defiance. Apparently Tubrug's attackers hoped that a show of force and, if successful, the grisly scene of a wrecked stabber, would make us lose our nerve. If so, they badly misjudged us. The New Order knows exactly how to deal with bullies. The takeover of Elonaya will go forward as planned!